Microsoft Press have released a free ebook called Introducing Windows Server 2012, which does exactly what it says on the tin. I read the version of this book that was based on the beta and found it very informative. It’s now been updated to the RTM version, so there’s no reason not to grab it now. It’s been a while since I did these stats, and I don’t think I’ve ever blogged them before, but I was prompted to check this after hearing Microsoft say that Windows 7 has overtaken previous versions worldwide. There are an unknown number of machines that aren’t connected to Active Directory, but the spread of those won’t affect this a great deal. Another interesting stat that I heard recently came from Dell. They now predict that 50% of all server workloads are virtualised. Thats probably about true here – I’ll see if I can get those stats later. Incidentally, the breakdown of Windows servers in our AD sees roughly equal numbers of Server 2008 R2 and Server 2003 (just over 200 of each), and just over a hundred running Server 2008. The Windows 8 team have just posted an interesting blog post about the new version of Windows Explorer in Windows 8. I particularly like the fact that you can assign a shortcut key to open a command prompt as an admin. One of the most common issues when buidling computers with Windows Deployment Services (WDS, and RIS before that) are typos in the GUIDs used to net-boot the PCs. 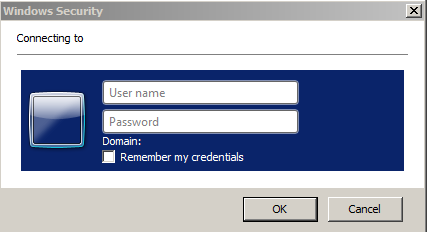 When you’re entering them by hand as you pre-stage the computer objects in Active Directory it’s very easy to make mistakes, especially when you’re entering a lot of them. It’s also extremely time consuming if you have to boot each machine to the point of PXE displaying the MAC and GUID – that’s why the smart move is to request that information from the supplier, preferably before they deliver the machines. Anyone who has pre-staged a computer object before will be aware of the jiggery-pokery that goes on with switching round the first half of the GUID, so that when you view it later in ADUC, you see something significantly different to what you typed in. It appear that this conversion is done by the GUI when you create the object, so when you’re adding them programatically, you need to change the format yourself. The function takes the GUID as a string and first removes any dashes or spaces (since I’ve received them from suppliers with both at different times). Next it converts the first half into an array of characters, selects them back in the new order and uses the join operator to make them back into a string, to which it concatenates the second half, unchanged from the original. As with most things in PowerShell it could be reduced down to a single line, or expanded further to enhance readability. NB. It’s likely that the code snippets above have been wrapped to fit the page layout. In the function there are only two lines – everything from “-join” to the end is the same line. In the foreach scriptblock that’s just a single line.